Financial Tribune- UNESCO has approved Arasbaran’s dossier on Tuesday, which was submitted in January, paving the way for Iran to implement measures to ensure the forest meets the UN agency’s criteria for inscription, a deputy at Iran’s Cultural Heritage, Handicrafts and Tourism Organization said. Mohammad Hassan Talebian, cultural heritage deputy at ICHHTO, was also quoted as saying by Mehr News Agency. “Arasbaran is an ecologically-rich region with massive tourism potential,” he said. Talebian noted that two historical buildings in the vicinity of Arasbaran Forest, a protected area in East Azarbaijan Province will be renovated and repurposed into research and management centers. “We have selected two historical buildings in Vinaq and Ayenehlu villages for restoration,” said. One will be used for research purposes in the protected area while the other will oversee the implementation of plans and the region’s management. Talebian argued that the establishment of separate research and management centers is in line with UNESCO’s policy of sustainable tourism, which aims to integrate tourism and environmental protection. 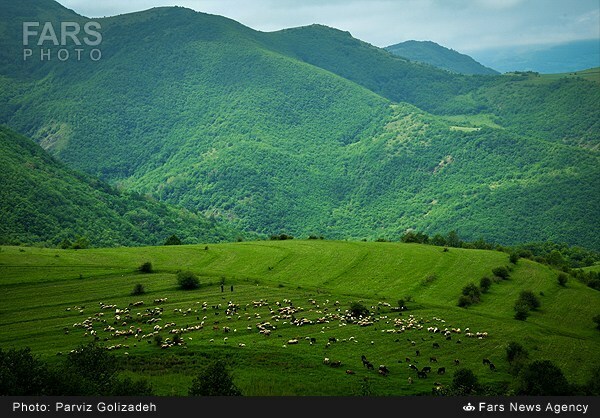 Iran is hoping to inscribe Arasbaran Forest on the UNESCO World Heritage List, which would make it the country’s second natural heritage site on the coveted list after Lut Desert’s inscription last year. One of the distinctive features of Arasbaran Forest is its plant diversity. It contains 1/19th of Europe’s plant diversity and one-fourth of France’s. Despite covering only 5% of the country’s total area, the forest boasts 13% of Iran’s vegetation and is home to 29% of mammals, 44% of birds, 32% of amphibians, 9% of fish and 20% of reptile populations in the country. Another feature that enhances the cultural and historical value of the forest is the presence of Shahsavand nomads who have inhabited the region for centuries. Mammoth fossils in the southern areas of the forest also indicate its high geological value that, along with the forest’s vulnerability to negative human impact, prompted DOE to designate the region as a protected area in the 1970s. In 1976, about 72,460 hectares of the region were registered as a biosphere reserve by UNESCO’s Man and the Biosphere Program. Iran is home to 21 world heritage sites, more than any other country in the Middle East.